Whether you’re replacing an existing central vacuum unit or repairing one, we offer in-home estimates on your repair/service. Our techs are trained to be aware of absolutely every aspect of your central vacuum system to catch any faulty parts that might cause a problem in the future. We want you to contact us when you need the best central vacuum repair service in town, but only then! We want you to know that we will be the ones who service your central vacuum system to keep it running as long as the manufacturer has rated it for. And with a little TLC along the way, we often stretch the life span of a system well beyond what it’s rated for. That’s because we truly are the central vacuum service and repair experts with a focus on saving you money through experienced service. We are Fully Insured and our Services are 100% guaranteed. We impress upon our people the importance of getting the job done the first time around. There is nothing so frustrating as having to call a central vacuum repair service person back. We rely on years of competent expertise to get the problem solved completely most every time we visit a home or office. It’s how we’ve built up such a powerful, well-respected central vacuum sales, service and repair business over the 22 years we’ve been in the business. 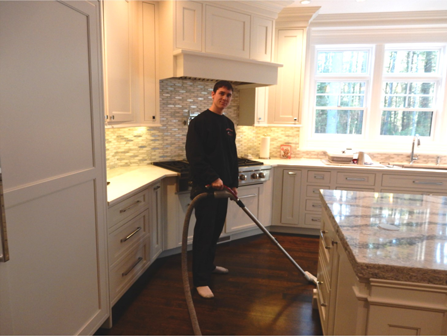 Customer service backed with a high level of expertise has paved the way to great success for CertifiedVacuum.com. 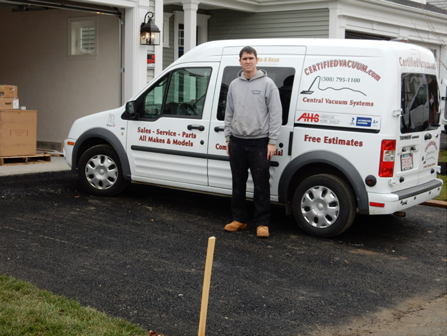 Give us a call for prompt service: (508) 795-1100. We service all makes and models. Now serving the entire New England Area. 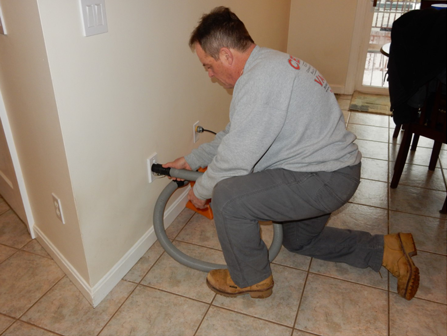 Need Central Vacuum Repair in Andover, Massachusetts? Call us. Searching for Central Vacuum Repair in Ashland Mass.? We’re the company to call on. Got an emergency Central Vacuum Repair in Auburn, MA? We’re the pros to contact. The fact is that in these cities, if you have a need, expert service is a call away: (508) 795-1100. 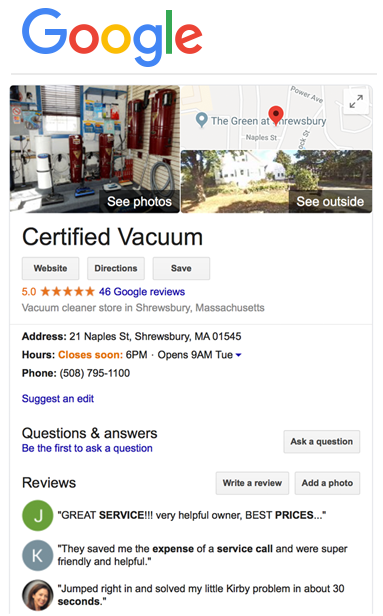 Got a need for Central Vacuum Repair in Bare, MA? We’re the company to make the problem go away. Need Central Vacuum Repair in Boston, Mass? You got it: call us. We get around! And when you add to the fact that we are certified and do the best central vacuum repair and service around, you know when you call us you’ll be getting the local experts on the job. Call Today: (508) 795-1100. Perform final test of vacuum unit. In short, with every service visit, we thoroughly go over your central vacuuming system to be sure it is in tip-top working order. We offer In-Home estimates. We will come to your home, diagnose the problem with your central vacuum, and provide an estimate. You will know our pricing prior to services being rendered. All services are 100% guaranteed. 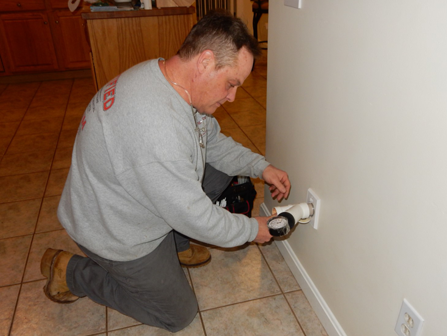 Call Now for Prompt, Reliable Service: (508) 795-1100.